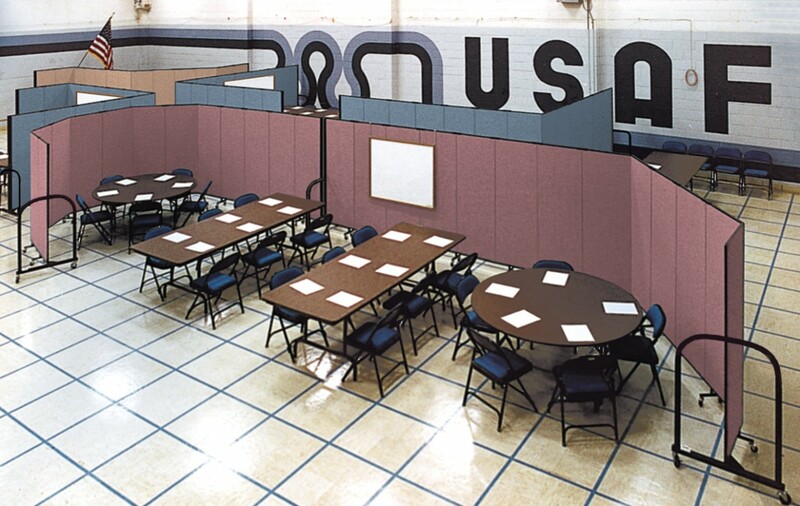 This unused military site was transformed into training rooms for new recruits with the help of Screenflex Room Dividers. To convert the open gym into rooms, Screenflex Room Dividers were rolled into place, arranged to create multiple classrooms, and locked into place for added stability. When the training was complete, the walls were closed and rolled into another room to be used to display training material for the recruits.